As a novice you have to use your skills to get accepted to the magic school. Your mission is to complete the „Tower of Eternity“. The tower consists of various areas, including the „Chambers of Illusions“. 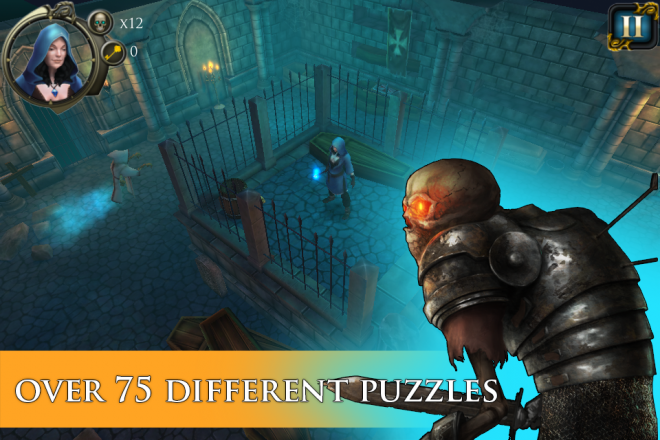 With over 75 rooms of crazy puzzles, you’ll need all your courage to solve them. The aim of Dungeon of Legends is to pass through many different rooms. In each individual room awaits many malicious traps and enemies, which you have to dodge. Different keys to open new spaces allow players to discover new mysterious things. In general, the player needs to press a lever, jump from platform to platform, dodge spikes or activate a special mechanism to get a step ahead. The problems to be solved are varied and ensure long-lasting fun. 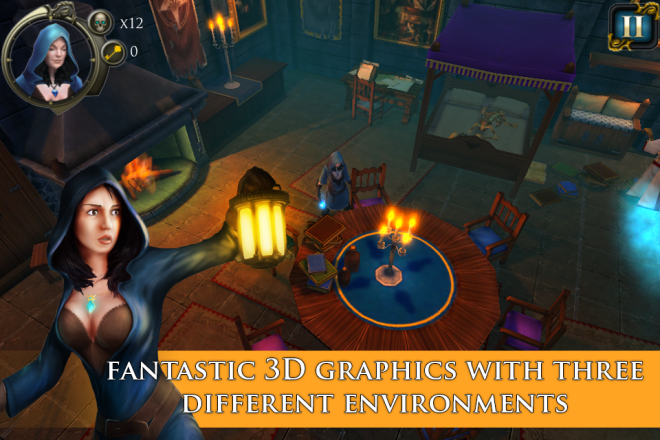 Dungeon of Legends is an action-packed casual game with more than 75 levels. 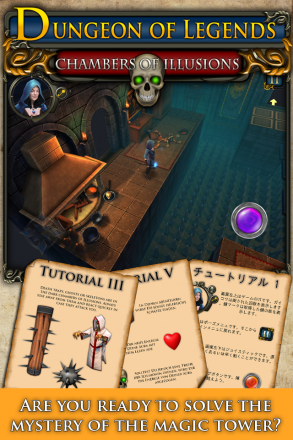 In Dungeon of Legends it depends on the players skill and logic. 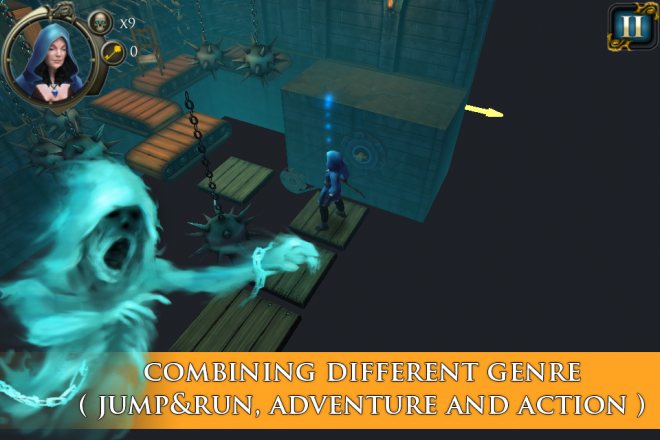 So Dungeon of Legends combines for the first time the genres jump and run, adventure, puzzle and action and combines it an epic and unprecedented adventure that thrills for many hours. 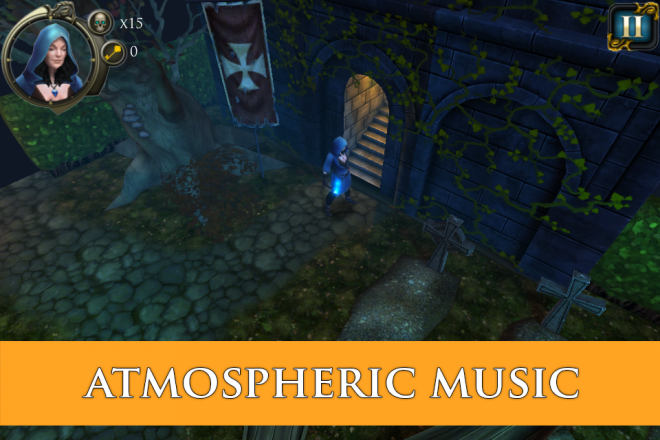 Musical background and detailed 3D graphics underline the standard of the game. The controller varies by platform. On mobile devices are two control units to find, the left one is used to navigate the character and right one as a jump button. In Dungeon of Legends was specially waived complex controls in order not to disturb the flow of the game. On other platforms, such as PC / MAC or consoles, the respective control icons are hidden and controlled via keyboard / gamepad. Are you ready to solve the mystery of the magic tower? This App is localized into English, German, French, Spanish, Italian, Portuguese, Russian, Turkish, Dutch, Japanese, Chinese (simplified) and Korean.